the Korda size 20 or 'Micro' swivel has been sepcially designed to complement the range of Korda rig items. 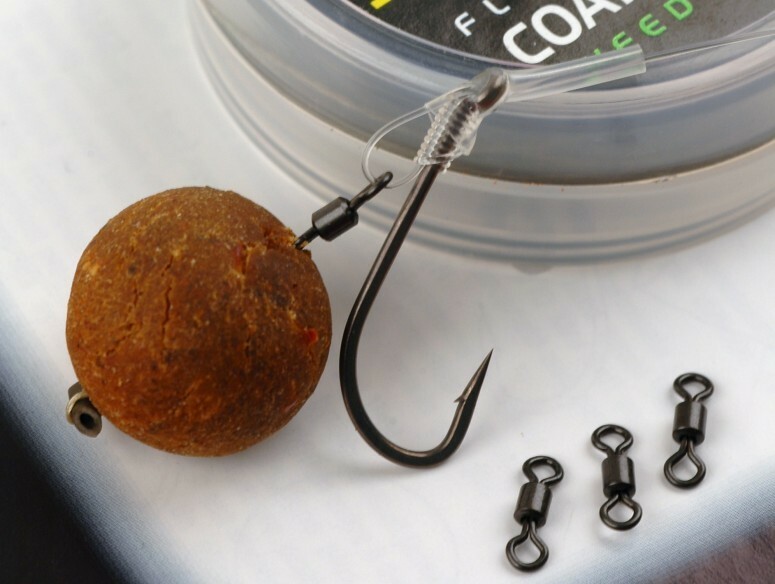 It is the ideal addition to 'swimmer' 'klaw' or other D type rigs where a rig ring may have been used, by using a Micro swivel, movement of the hook and bait can be increased, helping to reduce the chance of the hook being ejected by the carp. Looking to buy some Swivels & Clips as part of a fishing gift? If you would like some advice on purchasing Swivels & Clips, simply contact our expert fishing team, giving us either an email or phone number on which to contact you and we'll get back to you right away with the best advice and prices. 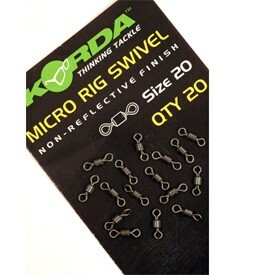 FREE Delivery on all Korda Swivels & Clips over £100!!! © Reel Fishing. All Rights Reserved. All prices displayed include VAT at 20%.